I took a webinar the other day about marketing new books and the one takeaway for me was the idea that the tablet will eventually be the most popular medium for reading ebooks. Not the e-reader. I thought that made perfect sense, since so much of what we do these days is on our smart phones/tablets. As much as I love my Kindle, I realized it was time to branch out. I took two of my works out of Kindle Select (after the three-month exclusion period was up) and published them on Smashwords. It’s another new learning experience for me, figuring out how to format for a different publishing platform, but this self-publishing business has definitely sharpened my ability to take the initiative. That is certainly a valuable gift. I hope I am always open to learning something new. I’m not sure what the move to Smashwords will do for my sales; right now, it feels as if I’ve dropped my books like stones into a lake. However, another great piece of advice I got from a marketing expert was to try something new every day. 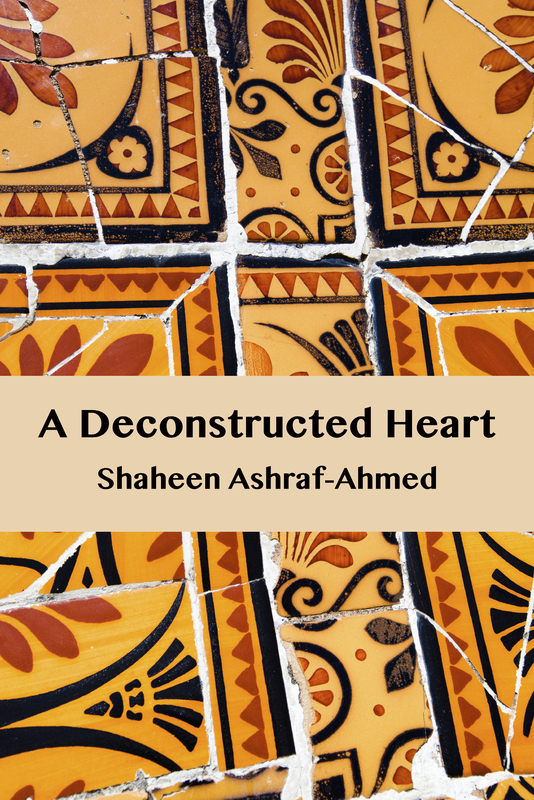 Publishing on another platform is just another way of realizing my goal to reach more readers: today, I sent a stack of print books of A Deconstructed Heart to a book review party in Connecticut and I reached out to five literary review blogs in the hopes of spreading the word; one reviewer has already replied to say I’m in his queue. I think in about three years I’ll be a whole lot smarter and have this process down. Stick around with me, and you’ll be able to say that you saw it happen. The old adage is that you can’t judge a book by its cover. An author must judge the rightness of a cover by the book they have crafted. It must resonate with the story, have visual appeal in large and thumbnail sizes and carry text with aplomb. I have written about the trials of coming up with a succinct title for the next story in my Purana Qila Stories series. Finding the right artwork was no bed of roses either… until I found the essence of my story and a title that captured that truth: The Well-Tended Garden. With that title in mind, there was one image that jumped out at me. The photograph speaks volumes about a beautifully cultivated, but hidden love — in the case of my story, it is a modest, restrained middle-aged love; one that can only be spied through the window of a crumbling facade (the figurative is suggested by the fabulously textured wall of the Qutb Minar in Delhi). My daughter used her incredible graphic designer’s eye to make it work as a book cover. The Well-Tended Garden will be released before the end of this month, moving forward fourteen years from Safiyah’s journey to Lahore at the time of Partition (The Dust Beneath Her Feet) and a few years after Imran has returned from working as a doctor in England (A Change in the Weather). Safiyah has returned from Lahore without her husband and made a life as a servant at Purana Qila, while her daughters pursue their education for the chance of a better life. There is a wedding in the house: Imran is finally getting married and Safiyah and her daughters are enlisted in the preparations, unaware that their own lives will be changed irrevocably soon. Safiyah is given a second chance of love with a man who has long admired her in silence, but she is a mother first. What is the best decision for a family that has known suffering and loss? And how will that decision affect Safiyah’s daughters, Henna and Laila, who have also been vulnerable to the unspoken longings of the heart? The Well-Tended Garden will be released in March 2013. Whadyacallit? Coming up with a title for your work. I was having a Twitter chat yesterday with a fellow writer about how difficult we were finding it to think of the right title for our work in progress. It was a serendipitous moment when I saw her Tweet go skittering past in my timeline; it helped me shrug off the lonely frustration of coming up with something pertinent, memorable and pithy (140 characters get eaten up really fast when you are promoting your work on Twitter, and at great cost to your grammatical principles). I had been struggling with an appropriate title for the next story in The Purana Qila Stories series. The titles of my other two short stories had fallen into my lap, one a variation on a line from a Dylan Thomas poem, A Change in the Weather, the other from a small moment in my story, The Dust Beneath Her Feet. A good title has to say it all: it has to pique interest for the uninvested person browsing the bookstore, internet or library for his or her next reading options; it has to hit just the right notes for readers of your genre; it has to sum up your book in a way that is not deceptive; it has to marry well with your cover artwork. There is a lot riding on your title — it announces your brand to the world. I remember watching a documentary about Robert Ludlum, years ago, I must have been about nine or ten and I never forgot this: his male literary agent had been arguing with him, in tears, because he had considered naming his next work with something other than one of his signature three-word book titles. Think of the impact that is had by three well-chosen words: The Bourne Identity. 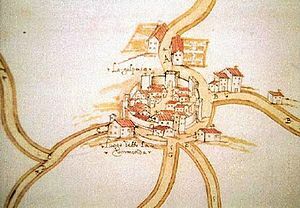 The Matarese Circle. The Icarus Agenda. They speak confidence and clarity. In his 22-title bibliography and a storied career, Robert Ludlum wrote only three books that break the mold. I was all over the shop with my next story and I finally came to peace when I found some clarity of my own. I had to ask myself, what is the central conflict here? What is at stake and for whom? At the same time, I had a selection of cover artwork, each with an image that I liked, but there was only one that told the story I was trying to tell. It did not matter how hard I was trying to make some of the others work, like Cinderella’s sisters trying to jam their size 12’s in her shoe, they would not fit. Perhaps the other images will inspire stories of their own, but I ready to throw my lot in with my next story title and its accompanying image: The Well-Tended Garden. It is an analogy for the relationship between my central characters, something they have nurtured and cultivated in modesty. I still have a way to go before it is finished, however. As a writer, I have learned that I am only somewhat in charge: it will be complete, I suspect, when it is done with me, and not the other way around. I’m sure there will be many more dilemmas by then, but I have put my finger on the pulse of my story now and have given it a name. This blog post is the birth announcement, and only just a little premature: The Well-Tended Garden: 4 words and 22 characters. If I smoked, it would be time to break out the cigars. I’ll settle for some Cadbury’s Fruit & Nut. I’ve been thinking about why the short story form really appeals to me lately, particularly after reading a piece at Salon today about how the form has failed to catch on in this era of digital publishing. It’s a little surprising, given that the short story is a greater respecter of time in what has become a hectic, multi-tasking and distracted world. I suppose the article restores my faith in the attention span of humans: we apparently prefer to read long books on our ereaders, perhaps only in snippets at a time. What is more surprising to me is that a full 41% of readers are actually perusing full-length fiction on their phones. Bravo to the patient and near-sighted reader who can make it through Infinite Jest on a smart phone. Extra points for reading the footnotes that way. I got to thinking about the full-length novel vs the short story. The full-length novel in print form declares your love of reading unambiguously. I love a doorstep-sized book as much as the next reader: they make a great paper weight, look impressive under your arm, and once in a while they spin a tale that keeps you happily trapped for weeks in the thickets of an intricate story. Vanity Fair. War and Peace. A Suitable Boy. The weightier the tome, the more respect they seem to confer upon the reader, as if your IQ can be measured in page numbers. But I also love a well-told short story, and I have to believe in the value of this medium, because that is what I write. 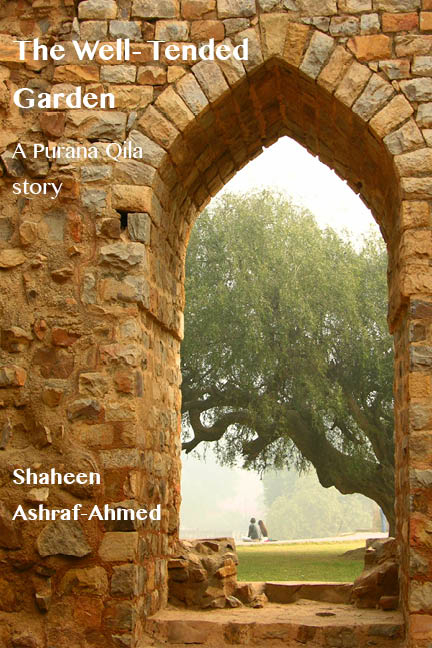 I started The Purana Qila Stories series, because while a novel must hold your hand between the events of separate plot lines, answering questions faithfully and guiding the reader carefully, a series of interconnected but nonlinear short stories says, “Wake up! Watch where you step! There are floorboards missing.” They challenge you to weave back and forth, to recall what you previously read about a minor character and a small action that may have significant repercussions when magnified by the passing of time or change in geography. They are a reminder that neither reader nor author is omniscient, that there may be a gap in our knowledge of a character, a mystery that is not revealed, and that life goes on in between the stories. They are prose poems, giving us just enough information to capture the essence of a moment, a feeling or a fictional person, without meeting the reader’s every expectation. The short story is an indulgence, allowing me to dip into some alternative universes, while respecting my time. Some are arresting: Kafka‘s The Metamorphosis, which my elementary school teacher read to my class when we were seven or eight. Some haunting: Jhumpa Lahiri‘s story collection, The Interpreter of Maladies. Or delightful: The Just-So Stories by Kipling. The written short story is a fairly modern concept, just a blink of an eye in human history. I researched its origins and found a fascinating article in Prospect Magazine by William Boyd about the origins of the short story in print. (Of course, short stories have been passed down in oral traditions since humans first spoke, and illustrated versions have been known to decorate a cave or two.) However, the rise of a literate class with disposable income in the 19th century propelled the rise of magazines and periodicals and drove the demand for short fiction. Perhaps there is another format that is uniquely suited to the digital age, and perhaps I’m just a 19th century kind of girl. I would to hear about your favorites and what it was about the short story format that made the telling so effective. Do you often wish a good short story was turned into a novel? 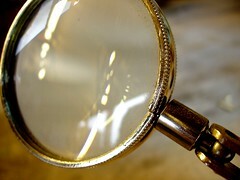 Or is there a novel that you think would have been better told as a short story? Lastly, are you glad I went with a respectable title for this post, instead of the first one that came to mind: “We love short shorts”? Got that awful song in my head now, gah.